For Castilla la Nueva, a historic region of Spain, see New Castile (Spain). Languages Official: Spanish (de facto); common: Quechua, Kichwa, Aymara, Puquina. 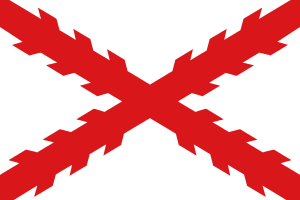 The Governorate of New Castile (Gobernación de Nueva Castilla) was the gubernatorial region administered to Francisco Pizarro in 1528 by King Charles I of Spain, of which he was appointed governor. The region roughly consisted of modern Peru and was after the foundation of Lima in 1535 divided. The conquest of the Inca empire in 1531–1533, performed by Pizarro and his brothers set the basis for the territorial boundaries of New Castile. Governorate of New Castile, consisting of the territories from roughly the Ecuadorian-Colombian border in the north to Cuzco in the south. Governorate of New Toledo, forming the previous southern half of the Inca empire, stretching towards central Chile. New Andalusia Governorate, which was not formally conquered by Spain until decades later. Governorate of New Léon, the southernmost part of the continent. This territorial division set the basis for the colonial administration of South America for several decades. 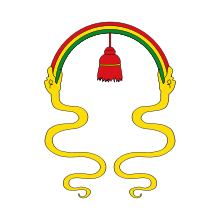 It was formally dissolved in 1544, when King Charles I sent his personal envoy, Blasco Núñez Vela, to govern the newly founded Viceroyalty of Peru that replaced the governorates.